Visit our on-line Store and pay by PayPal. Print and mail the MEMBERSHIP APPLICATION form with your check. The Professional Car. the Golden Quill award-winning magazine featuring beautiful color photographs of professional cars, an Owner's Pride feature, Chapter Pro-Files, meet reports and photographs, historical ads, and features and information that no one else has! Free Marketplace Ads. PCS members can place professional-car-related ads in The Professional Car at no charge. 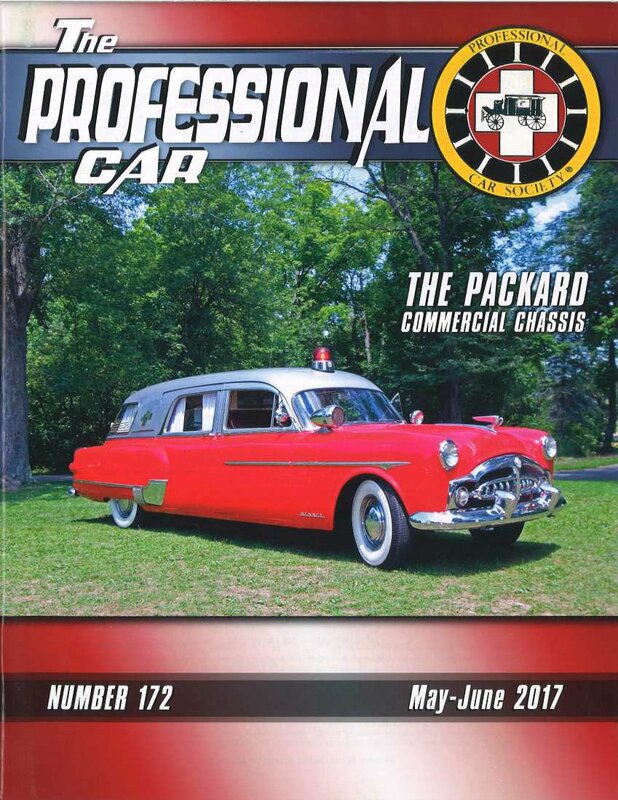 Whether you're looking to buy or sell, or in search of that elusive part to complete your professional car, an ad in the magazine is your best bet! Chapter Memberships. Although you don't have to belong to a chapter to belong to the PCS, you must belong to the PCS to belong to a chapter. Some of the best events are held at the chapter level, and there is likely a chapter near you. Forum Members Area. The forums offers a place for the discussion of Society business as well as general professional car discussions. You'll find the experts here! Archives. Looking for a particular piece of literature? If it's in the PCS archives, the archivist may be able to scan or copy it for you. Discounts. Visit O'Reilly Auto Parts Stores nationwide and take advantage of the PCS Discount. Details will be provided after joining. International Meet. The largest gathering of the year for the PCS is the annual International Meet and Concours d'Elegance show. At any International Meet you will see the finest example of the coachbuilder's art, visit the swap meet area, enjoy tours, events, and activities (a favorite is the after-dark parking lot visiting and chat! ), have a great time at the annual banquet where awards and trophies are handed out, and revel in the flashing lights and screaming sirens during the sound and light show that closes the meet. Experts. Access to the most knowledgeable men and women on the planet who can answer any questions you might have about any professional car ever made. It's hard to stump this group of world-class experts!